Living Like Audrey is a captivating and insightful look at Audrey Hepburn, an iconic woman who was an inspiration to many and whose style, personality, and uniqueness inspires generation after generation. Victoria Loustalot (author of This Is How You Say Goodbye) offers a fresh spin on what made Audrey so popular on film and off, what she had to say about life and living it fully, and why we still have such a strong emotional connection with her. 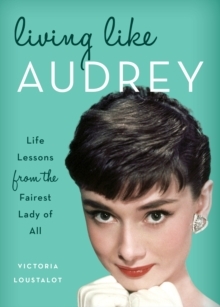 With seldom-seen photos and quotes from Audrey and those who loved her throughout, Living Like Audrey turns the spotlight on this remarkable woman's defining characteristics and contains lessons on how we all can be a little "more Audrey" in our daily lives.